You may think you don’t need to have a will. After all, you will be gone and all your possessions will go to your family members, right? Our Ridgefield CT estate planning law firm can attest that the following are certain issues that having a will allows you to control after you are gone. Who gets my property when I die? You get to control who gets certain items if you make a will. If you do not have a will, the state may determine who gets your property, usually giving it to your spouse, children, and your parents. Without a will, you are said to have died intestate. The court determines who will take care of any minor children if the other parent is not around or not fit to care for them. Can I select someone to organize my estate after I’m gone? 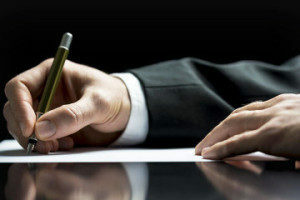 Yes, when you create a will you will select an executor, also called a personal representative, to take care of the instructions stated in your will. Again, if you do not have a will, the state will appoint someone to handle your property and it will be dispersed according to the laws of your state. Can I choose who I want to raise my minor children? If you were looking for one big reason to have a will, it is to appoint someone of your choosing to raise your minor children should something happen to both parents or if the other parent is unfit to raise the children. This person(s) is called a guardian. If there is not another parent available to raise the children, the court will step in and assign someone to care for your children. Legally, you can name more than one guardian but it may not always be a good idea to do so as sometimes they may disagree about decisions in raising your children. Conversely, if you choose a stable, married couple who would work as co-parents to your children, they would each have legal authority to make critical decisions concerning your children. Who takes care of my assets if I have minor children? If you have property to leave to your young children, someone else needs to be appointed to manage the property. In your will, you can leave specific instructions as to how the property is to be handled (this can also be done through the creation of a trust) and who is to manage your property. How do I know my pets will be taken care of? Don’t forget that your furry friends need to be mentioned in your will. You can assign someone you trust to take your pets in the event you are no longer around to do so. You can also assign money in your will to be given to your pet’s guardian to help them care for your pet. Using a will is the easiest option but you can also use a separate document called a pet trust to leave more specific financial instructions concerning the care of your pet. You cannot use a will to leave property or money to your pet. You use the will to leave your pet and finances to care for your pet to someone you trust. Understand that if you do this through your will, the guardian is not legally obligated to spend the money you leave for the care of your pet — so it is important to trust the guardian you select. If there is any doubt, create a pet trust to make sure your wishes are carried out. This option is a more expensive and complicated legal option but if the future care of your pet is extremely important to you, you may want to explore this option. An estate planning law firm in Ridgefield CT can help. For more information, contact the estate planning law firm Ridgefield, CT clients recommend, Sweeney Legal, to set up a free consultation with one of our estate planning attorneys.